The Association of Colleges (AoC), the British Lymphology Society (BLS) and the National Housing Federation (NHF) have signed up to host their 2014, 2015 and 2016 annual conferences at the ICC Birmingham. The AoC has committed to another three-year contract with the ICC Birmingham, following a successful 12 years working with the venue. It's 2013 Annual Conference and Exhibition is expected to attract 1,200 delegates. The ICC will welcome the BLS for the first time in October 2013 for its annual conference, which is expected to draw 300 delegates, before the specialist body returns to the venue for its 2014, 2015 and 2016 conferences. The NHF has also signed up to a three-year contract with the ICC, having previously hosted its annual conference at the venue for over nine years. The two-day conference and exhibition typically attracts 1,200 delegates from all over the UK. Commenting on the partnership, Martin Doel, CEO of AoC, said: "Following a competitive tender process, we chose the ICC Birmingham for its combination of flexible meeting facilities, high service levels, competitive pricing and easy accessibility. "Our commitment to the venue for the next three years reflects the work undertaken by the ICC to understand our requirements and support our events team in delivering an outstanding Annual Conference for our members and the broader further education sector." 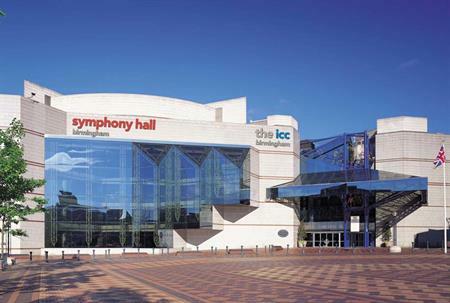 Jane Durston, operations manager for the BLS, said: "The British Lymphology Society is delighted to announce the centralisation of our annual conference with the ICC Birmingham for three years running. Our annual conference aims to educate professionals about the latest research and products in relation to the aetiology, diagnosis and management of lymphatic system failures, including lymphoedema." The ICC Birmingham’s business development director, Catherine Newhall-Caiger, added: "We are very fortunate at the ICC to have such a successful history working within the association sector, attracting more than 70 association conferences every year. "Our dedicated association team is what really sets the ICC apart from our competitors and gives our clients the confidence to bring their events to our venue time and time again. "The knowledge and expertise of the team can help shape and create an event, assisting with everything from marketing support to the planning of the social programme; the team is always on hand to make sure all our clients get the best out of their event with us."